PTS Maths Posters are perfect for supporting your pupils as they get to grips with numeracy. 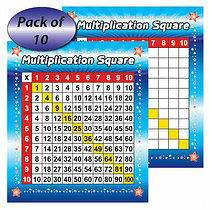 This great range includes Times Tables, Place Value, Fractions and Geometry Posters. Our Educational Posters are ideal for creating child-friendly, informative Maths Classroom Displays. You can reward your pupils for numeracy achievements with great Maths Stickers and Maths Certificates.